ALL INDIA CRIME REFORMS (REGD) is a nonpolitical organization. Our aforesaid organization is registered as per law. AICRO works to eradicate crime from society and to remove the corruption from the society. In this social work AICRO works to help the govt. Public fears to tell their grievances to police. With the help of police we work to eradicate corruption and crime. Due to some bad elements in police, Police is loosing confidence in public. We want that image of police should be appear as clean and transparent with help of police, we have to solve all the public problems, which police could not solve in dress. 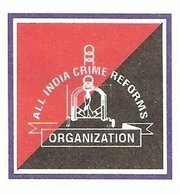 In the aforesaid circumstances I appeal to all of u to join us and become the member of ALL INDIA CRIME REFORMS ORG. (REGD) to remove criminals and criminal activity from the society. haw can i get a wireless set in aicro. How can i join this sir? ?